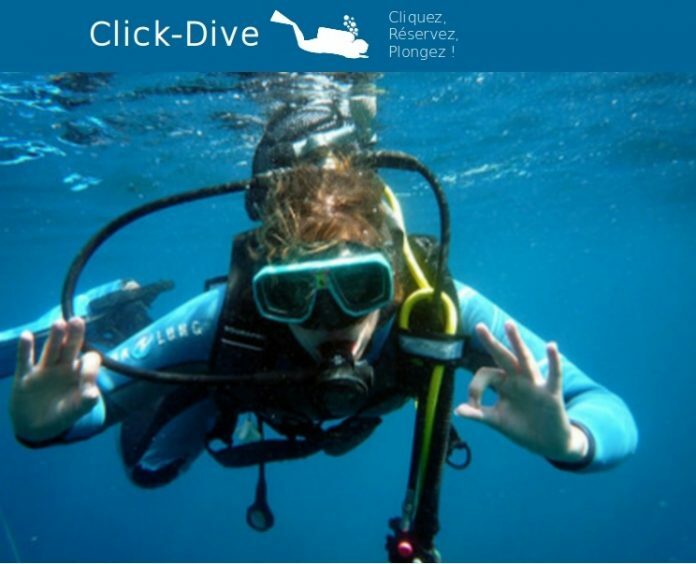 Click-Dive was present at the 3rd Edition of the Sea Forum from 11th to 14th of April 2018 at Leclerc Sormiou in Marseille. Many companies and associations were present. Event present on 4 days at the cultural center, a short film festival of diving images was organized within this forum. The theme was: “Woman and the Sea”. Various short films were thus presented. What happened on this edition? – Screening of the films selected continuously from 8:30 to 19:00 with their directors. – At 14:30 to 17:30 a conference and films were presented and broadcast for the children. Rich in emotions and strong images this festival was accompanied by the presentation of stands of different companies or associations participating! It could include the magazine Subaqua, the National Park of creeks, Immersion, the Museum of diving, the writers of the sea, the FFESSM, NoxDiving or the submarine: the “Saga” from commandant JY Cousteau. This was a great opportunity for us to meet other players from the world of the Sea to exchange our various experiences and our visions of the current state of our sea. Constructive and realistic advice has been given to us by inimitable characters of the marine world and they will help us to better advance facilitate the reservations and the access to the scuba diving. A true communion between the participants is to be noted. Whether regular forum or new. Interesting meetings have been made and many new members on Click-Dive.com are to report. Thanks to them for trusting us! Many prizes were won during our game with scratch tickets. T-Shirts “a summer on vacation”, the Baptisms of L’Atelier de la Mer and Apneiste were also won. Beuchat keychains as well as pens and guides Ville de Marseille and FFESSM completed the prizes won. Leclerc customers are happy to have free access to all the activities presented, make it possible to reign with the exhibitors a family atmosphere and relaxed which allowed the smooth running of the forum throughout this edition. Splendid films were presented and even if we were not awarded we are proud to have been able to present our realization to this festival. Congratulations to Jean Luc Casares and his School Apnea for the first prize of the festival and to meet us now the famous Miss France and 2nd Miss World mermaid. We would like to thank Élie Boissin (world record of free diving in 19959) for his dedication to the smooth running of this edition and for his natural cheerfulness. We would like to thank all the actors and the organizers of Leclerc Sormiou who made possible this 3rd Forum of the Sea. See you next year!